This article discusses very briefly why we recommend OneDrive for Business over Google’s Drive or G-Drive as some call it. Firstly, OneDrive for Business is a BUSINESS product, supported by Microsoft who are a BUSINESS IT Company and it’s part of your Office365 subscription. For most of our customers that means we’re already backing up OneDrive for Business and managing it on their behalf. Remember, synch to cloud is not backup, there’s a difference. We regard Google as a great search engine but their business model is about selling advertising. As OneDrive for Business is integrated into your Office365 environment it’s far more seamless than the Google Drive and it’s easier to remain secure. With Known Folder Move (KFM) and Files On Demand we are already seeing users making great use of OneDrive to keep their documents off site, in the cloud and accessible on any device, any time. You can read about KFM and files on demand on our other blogs. Question: What about sharing documents and folders with those external to my business ? That’s easy, OneDrive for Business allows this just like Google but with more control. Question: What about sharing documents to those without OneDrive ? Sure, also easy, just share the file to their email address or even anonymously and you can also just create a link you can send to them in email. Question: What about sharing but expiring the link for security purposes ? Again, this is easy, you can control this yourself by choosing to expire the link at a certain point in time or if you are managed by us then we will have already set a global expiry policy on your behalf, this is normally 30 days but 60 is also common and we can set this to any value you want. Question: What if we want to share access to files and folders to a 3rd party for more than our global expiry limit ? Again, this is easy to do but best to be achieved via other tools. Please reach out to your IT provider for the best advise here but it’s not a good idea to share links to your data outside your organisation with no expiry. The risk is that once your link has been sent outside the organisation you have no power to control what happens to it. Imagine what might happen if your link gets forward to someone else or falls into the wrong hands ? For the most part you probably won’t even know about it…. 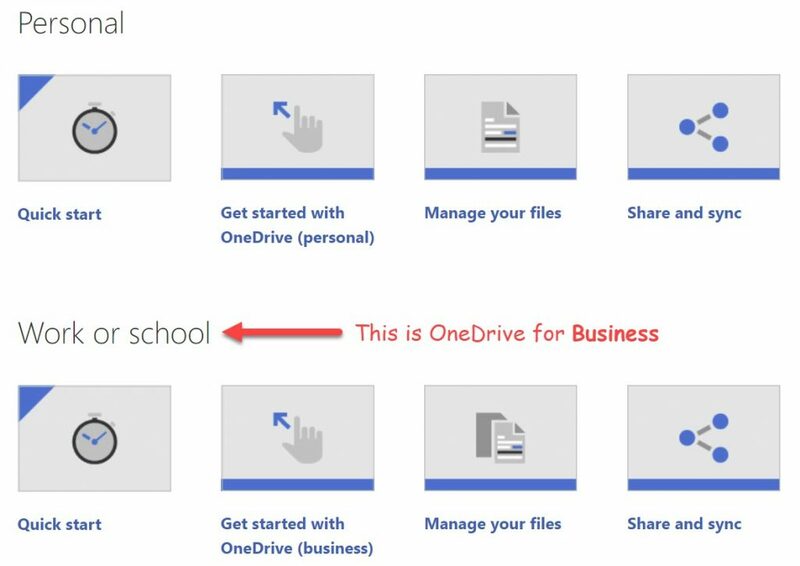 To learn more about OneDrive you can click the image below. Please note, there are two versions; Personal and OneDrive for Business.